I moved to the mountains last weekend to put the finishing touches on my training. 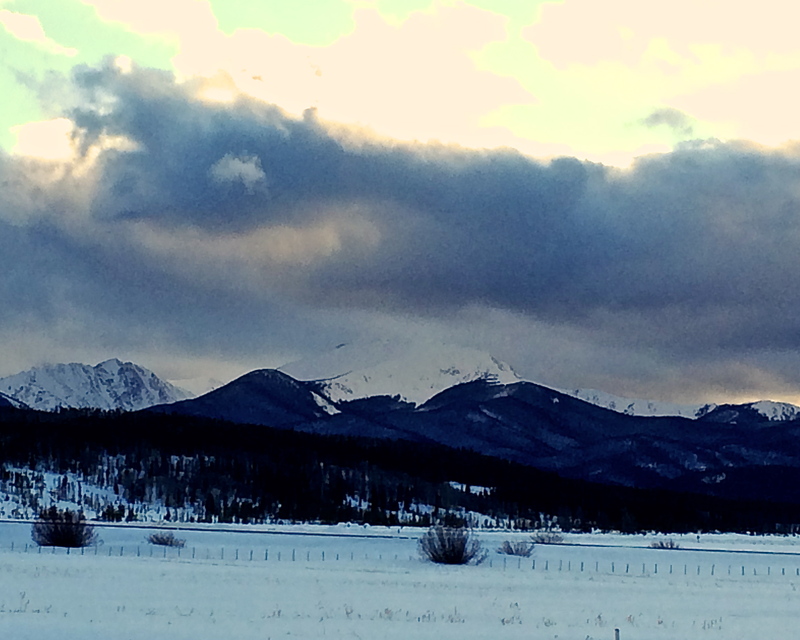 The pup and I are staying in a spacious, one-bedroom rental for the month of March in Fraser, CO. This move allows me to sleep at nearly 9,000′ every night this month, while getting out into the mountains every day to train. 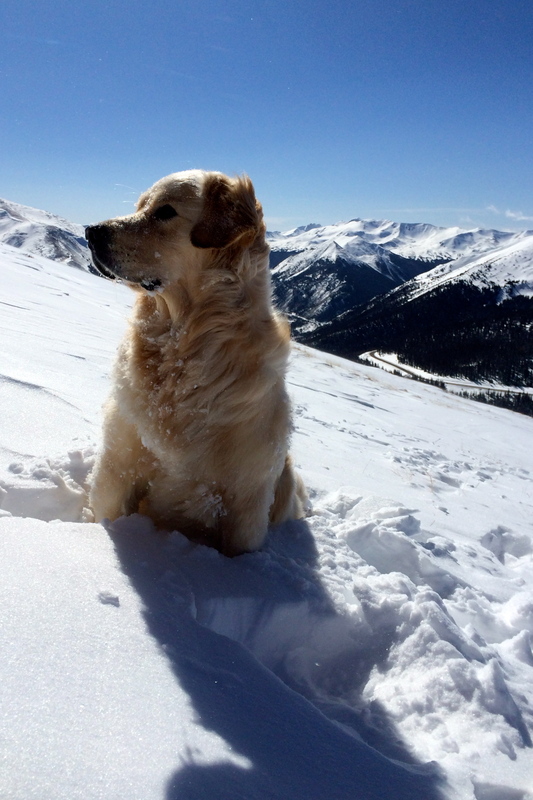 The pup and I have already battled the elements (primarily wind & snow) most of our days here by doing backcountry ski outings up to elevations of 12,500′. We’ll certainly do some bigger outings (both longer days and to higher altitudes – up to 14,000’+) as the work schedule permits. This jump in sleeping altitude coupled with having the ability to train at altitudes of 11,000’+ on a near daily basis will greatly increase my level of acclimatization and fitness prior to my departure on April 4th. With our aggressive acclimatization and climbing schedule for the upcoming expedition, any benefits gained now will only help my efforts in April and May in the Himalaya. However, as you can see, it’s not always pleasant up high, but I think the pup is enjoying our mountain time (at least most of it). We refer to enduring harsh conditions as “conditioning” and climbing to altitude “training.” Fortunately, here in Colorado, it is fairly easy to train and condition simultaneously on any outing if one chooses the right location. Climbing/skiing on Berthoud Pass, particularly on the upper portions of Colorado Mines Peak, which is right on the Continental Divide and directly in the path of the prevalent westerly winds, almost always affords this luxury (this is just one of the reasons that, as climbers, we don’t linger long on the summit of most peaks). And before anyone calls the SPCA, what a difference a day makes. 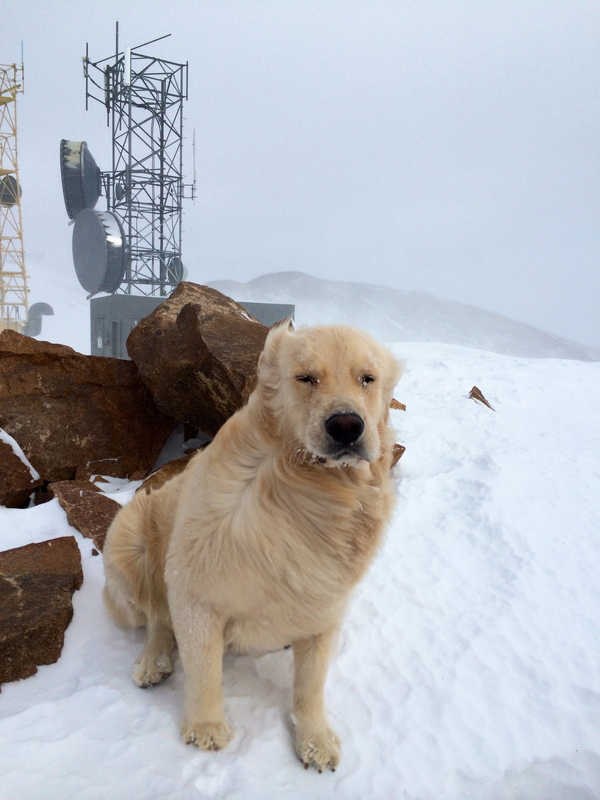 You can see that conditions, although still windy (look at that thick fur flowing with the breeze), aren’t always intolerable! Even with bluebird skies, the wind is nearly always whipping above treeline on the Continental Divide. At least he has that substantial coat to endure the “conditioning” portions of our outings… Unbelievably, he won’t have to endure, or be able to enjoy, our outings much longer. It’s hard to believe that we move back to Denver in only 3 short weeks and that I depart for Kathmandu days later… 25 days from now. Wow. It is hard to reconcile exactly where all the time has gone since this trip was first discussed as a possibility a year ago with the fact that it is nearly time to pack bags, say “see you soon” to friends and loved ones, and head back to give the Himalaya another go… Regardless, I’m ready. Best wishes for productive training and enjoy the month in the mountains. good luck, brother. As always, I’ll be anxiously awaiting each blog post.